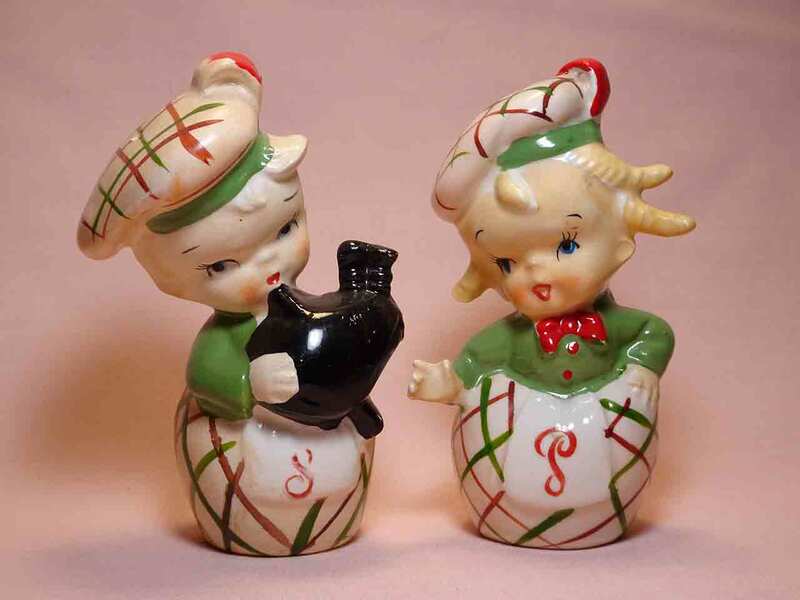 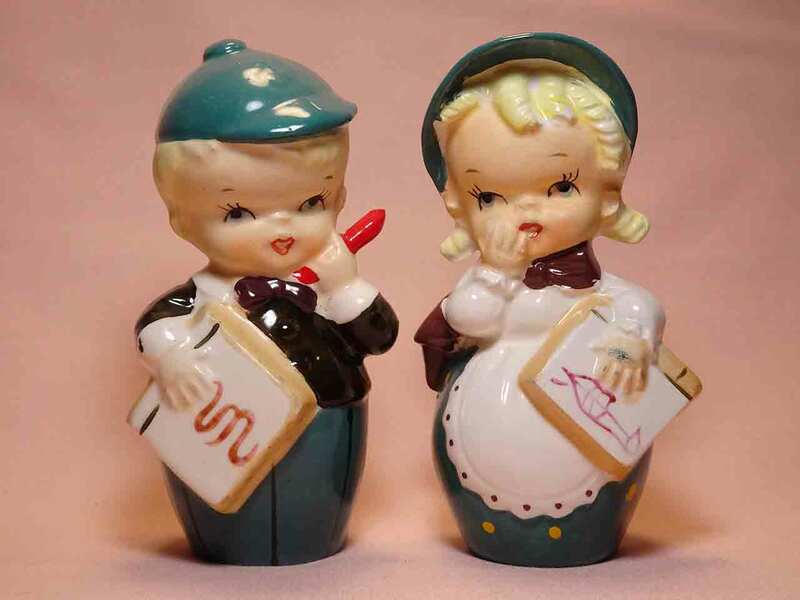 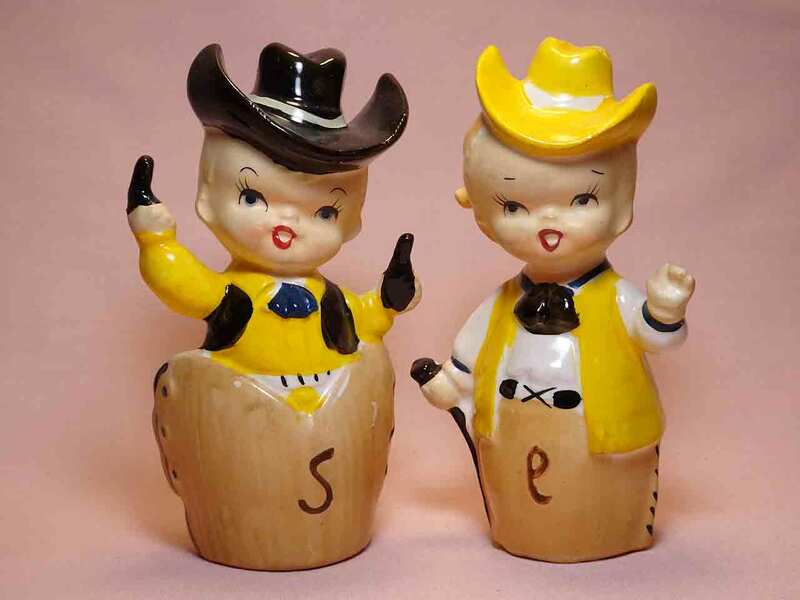 A similar larger version of this series is referenced in Irene Thornburg’s first book on shaker series entitled “Collecting Salt & Pepper Shaker Series” in 1998 on page 105. 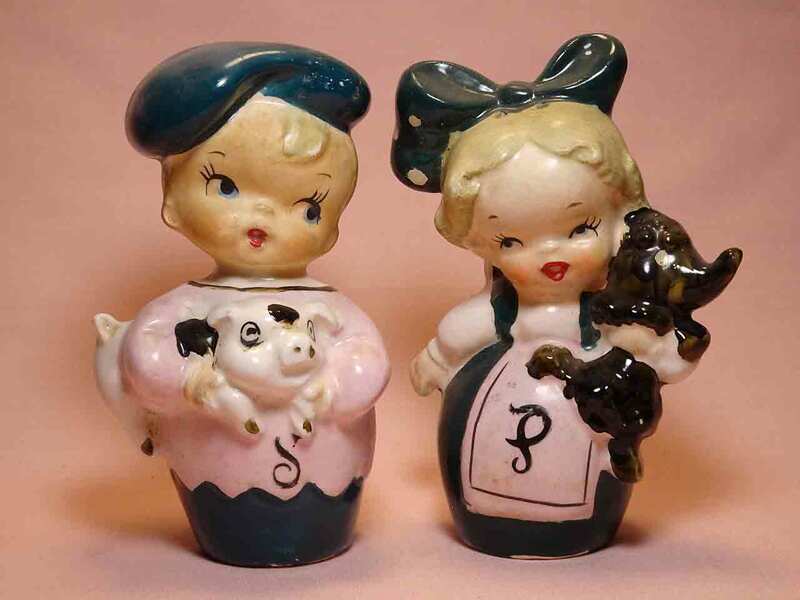 This smaller series stands about 3.75 to 4 inches in height. 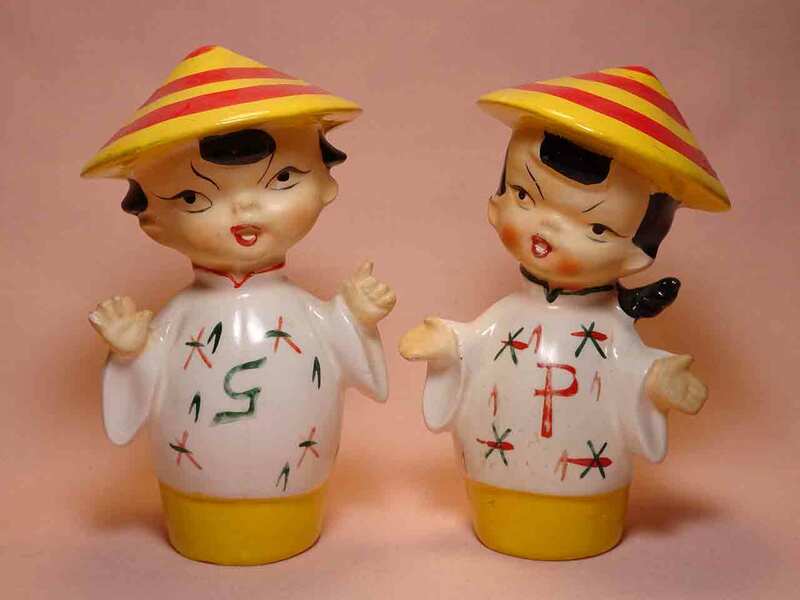 They are marked with a small round blue Japan label and/or stamped black Japan. 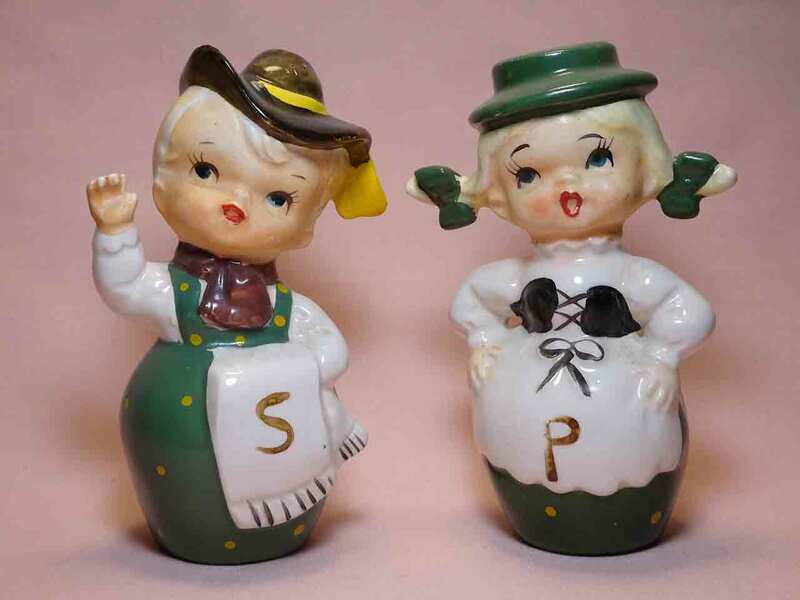 Notice the “S” and “P” marked on the front of each set.